Cartoons are part and parcel of everybody's childhood and they bring joy to our life and even impact our perceptions. They foster the creativity, stimulate the imagination, maintain relationships, and educate children some human values and concepts with speaking animals, exciting adventures, brave superheros and funny stories. As YouTube has amassed tons of classic cartoons and provides the freedom for viewers to watch for free, it becomes the major resource where people find and enjoy cartoon movies and videos. But sometimes you may just want to download some cartoon YouTube videos with your kids on the couch or on a trip when there is no internet access available. In such instances, you may turn to a free YouTube cartoon downloader to get the best childran cartoon animal story mp4 video download. Those classic cartoon YouTube videos like Tom and Jerry have always made us laugh loud without making any generational leap. To free download YouTube cartoons for kids for free enjoyment offline to avoid the limits brought by internet connection and address deletion risks as well as get rid of the ads or other YouTube annoyances, you just need a YouTube cartoon video downloader. Here in our YouTube cartoons free download solution, we choose a totally free cartoon YouTube videos downloader named MacX YouTube Downloader. The choice comes in two ways: first comes to the strong ability of this cartoon YouTube downloader to free download YouTube cartoons in various video formats, namely SD and HD videos (including 720p, 1080p and even 4K Ultra HD); followed by is its excellent ability to automatically add the output MP4 videos to iTunes Library so that you can directly put the downloaded cartoons to iPhone, iPad, and other mobile devices for enjoyment on the go. In fact, uers are also allowed to free download cartoon videos movies from YouTube, Dailymotion, Facebook, Vevo and 300+ other cartoon animation movie sharing sites. The fast downloading speed and high quality of the output cartoon YouTube videos is another major plus. Cartoons are no doubt favorites of kids all over the world, however, the popularity of cartoons has diminished as we grow older but few have still remained fresh in our memories. 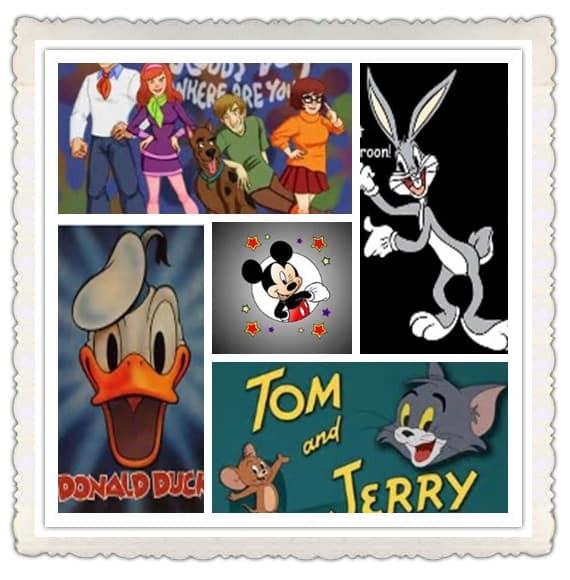 Before we learn how to free download YouTube cartoon videos movies for kids like download tom and jerry, here we list a few most popular cartoons of all time for you to refresh the cartoon classics that have always brought you laughter and joy. Step 1: Free download the YouTube cartoons downloader on your computer, install and launch it. Copy and paste the URL of YouTube cartoons. Then click "analyze" to load the YouTube cartoon details. Or click "paste & analyze" button to automatically detect the cartoon YouTube videos opened in browse. Step 2: Choose video format, resolution and file size you want. You free download animation/cartoon movies/videos in MP4, FLV and WebM formats. Step 4: Click "Download Now" to free download YouTube cartoons. 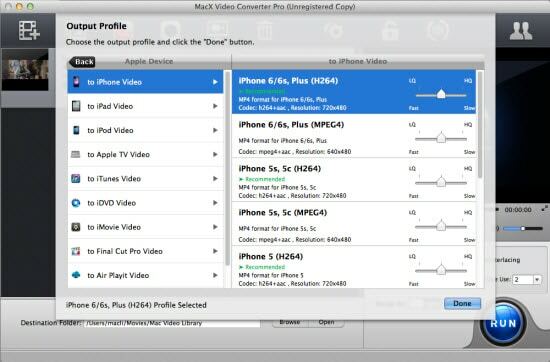 Alternatively, you can use MacX Video Converter Pro to free download YouTube cartoons for kids and further convert the downloaded cartoon YouTube videos so as to play on your mobile devices. With this YouTube cartoon downloader and video converter, you can not only free download YouTube cartoons from 300+ sites, but also convert the downloaded cartoon/animation videos to various popular video formats supported by iPhone, iPad, Android etc including MP4, MOV, AVI, WMV, MKV and more as well as to kinds of mobile devices directly like iPhone (iPhone 6S/Plus), iPad Air 2, iPad Mini 4 with Retina, Apple TV 4, HTC One M10, Samsung Galaxy S6 edge+, Galaxy Note etc. Below is the simple guide on how to free download YouTube cartoons and convert them. Step 1: Download this cartoons downloader for YouTube and launch it. Hit "YouTube" button. Then click "analyze" to load YouTube cartoons by copying and pasting the YouTube URL. Or click "paste & analyze" button to automatically detect the videos. Step 2: Click "Browse" button to specify an output folder to save the output files. Step 3: Click "Download Now" and start YouTube cartoons video free download. Step 4: Select "Auto add to convert" to convert downloaded YouTube cartoon videos to the format or device as you like and the program will automatically jump to the conversion page. The whole process is 83X faster with no quality loss.